It sounds like science fiction, but is back on the table after nearly a century of talk: a railway to reconnect the Far East with the Far West, theoretically enabling a Londoner to travel by rail all the way to the US of A (though industrial uses are currently the priority over passengers). The undertaking might cost as much as a hundred billion dollars, but it could also carry a hundred million tons of freight per year, which puts that price tag in perspective. 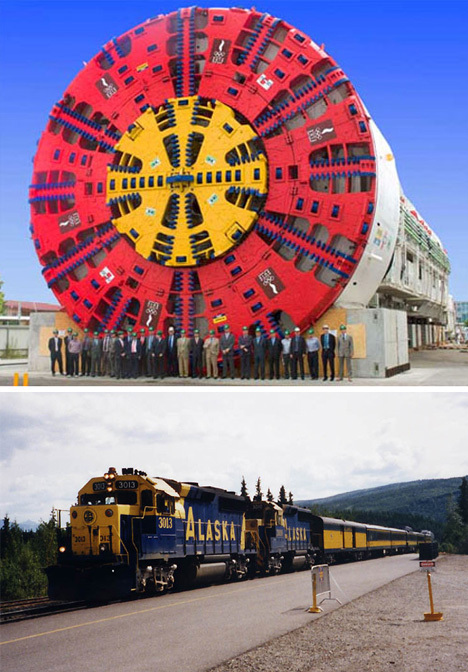 As for relative examples in engineering: consider the fact that the English Channel tunnel is only half the proposed length of this next world wonder. 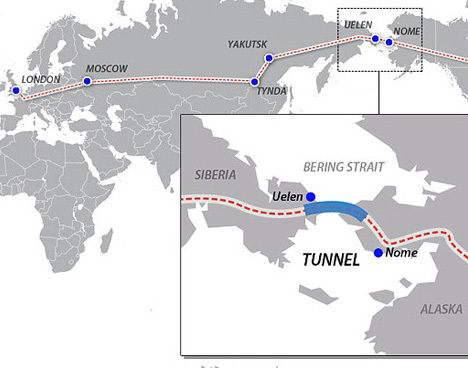 Representatives from the Kremlin and White House recently met on the matter and have approved this incredible project to link Alaska with Siberia across the Bering Strait, continuing an existing line on both sides that branches deep into both participating countries. 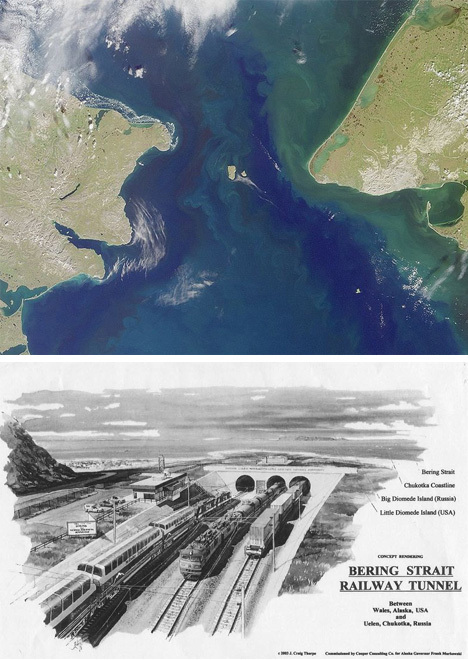 Commonly known as the Bering Strait Crossing, this is a variant on a surprisingly long-lived theme, from visions of Czar Nicholas II to connect these two countries underground, and more recent ideas to use two islands between the closest points of connection as pit stops for long-span “peace bridges”.